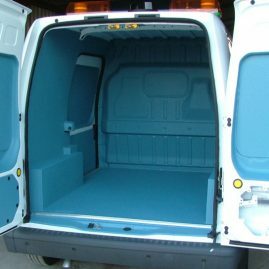 One of UK’s largest Gas Companies required high durability floors in their engineering department’s vans. 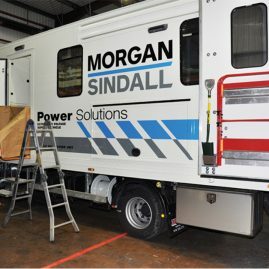 These new vehicles are designed for client visits to repair and maintain gas services. 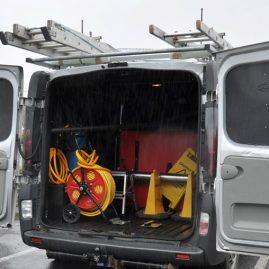 They noticed that the loading area of the vans was easily damaged due to the constant use and storage of heavy-duty equipment. These vans are required for long-lasting durability. 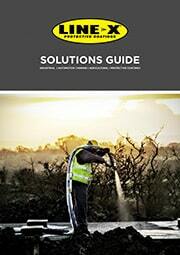 They needed a tough, hardwearing, non-slip coating with protection against frequent use. 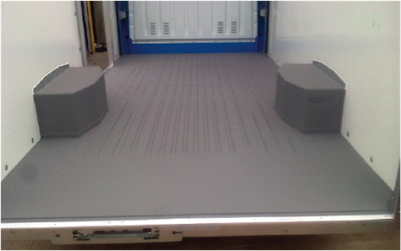 The manufacturer wanted a smart solution that would solve the standard paint related problems and provide total protection against damage. The vans were sent to be coated by a LINE-X dealer. Preparation of one van with a two-man team took an hour. LINE-X XS100 was applied in grey, to create a 3mm, extremely durable surface with a seamless membrane. This achieved a slip resistant, smooth and easily cleaned floor. 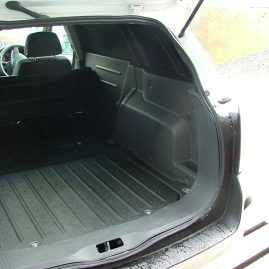 The vans are now protected from any damage and the LINE-X protective coating assures a long-lasting solution. 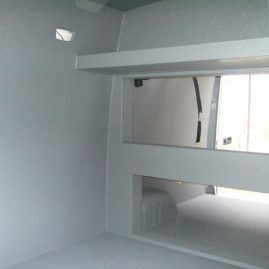 The manufacturer is very pleased with the outstanding finish and durability of the vehicles. 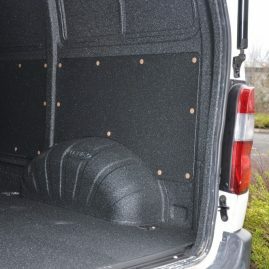 The LINE-X high quality coating not only gives the vans ultimate protection against damage but also maintains the value of the vehicles. 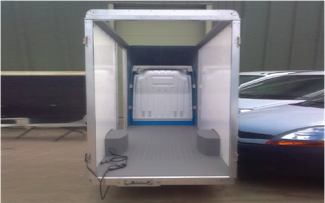 Having been sprayed in LINE-X, the vans are now very durable, watertight, rust proof, easy to maintain and provide a high quality working environment for the gas technicians. These vans have been so well received that the client has given further work to LINE-X. They have agreed that one hundred and fifty vans a year will be coated with LINE-X over the next 3 years.